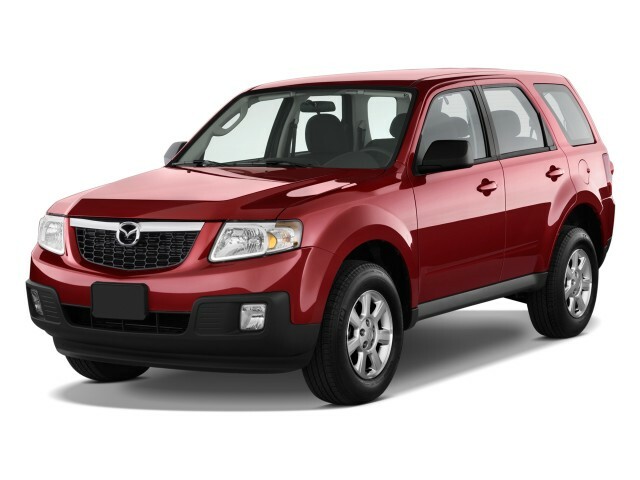 The Mazda Tribute is a compact crossover utility vehicle that looks boxy and truck-like in silhouette but rides on car-based underpinnings. 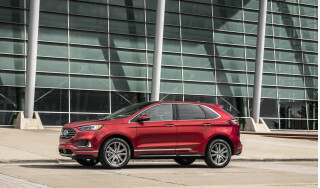 The Tribute is very closely related to the Ford Escape, with only minor badging differences between the two, and it's been offered in a wide range of guises over the years, including four-cylinder, V-6, and Hybrid versions, with front-wheel drive or all-wheel drive. 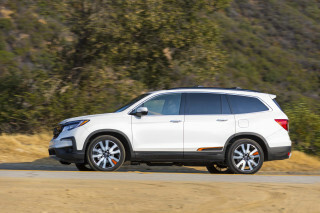 Alternatives, in addition to the Escape, have included the Toyota RAV4, Honda CR-V, Subaru Forester, Chevrolet Equinox, Saturn Vue, and Kia Sportage. 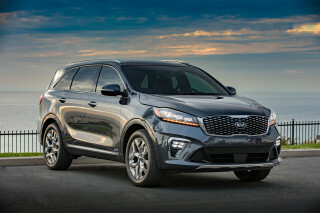 For 2013, the Tribute has been replaced by the all-new Mazda CX-5, a model that, according to Mazda, is no longer at all related to the Escape. Originally introduced in 2001, about the same time as the nearly identical Ford Escape, the Tribute was originally marketed for its handling compared to other SUVs of the time. With underpinnings that were based on the Mazda 626 sedan, the Tribute did ride and handle far better than truck-based utes. Initial engine offerings included a 130-horsepower, 2.0-liter four-cylinder engine or a 200-hp, 3.0-liter V-6, with a five-speed manual offered on the four-cylinder or a four-speed automatic on both. For these models, the base four simply wasn't gutsy enough with automatic, and we recommend the V-6—although the 153-hp, 2.3-liter engine subbed in for 2004 was a big improvement. For 2008, a so-called second-generation Tribute went on sale (really a refreshed and somewhat reengineered version of the original), offering the same engine lineup, but with a significantly upgraded interior. In 2009, powertrains were revamped for the first time in years, with a 171-hp, 2.5-liter four-cylinder as the base engine and a 240-hp version of the 3.0-liter V-6 on offer. Most models got a new six-speed automatic, although there was still a front-wheel-drive base model offered with a manual transmission. Also in 2008, Mazda gained a version of the Hybrid model that Ford (Escape) and Mercury (Mariner) had received in previous model years. The Tribute Hybrid was powered by a 2.3-liter four-cylinder engine plus two electric motor/generators (altogether making 155 hp) and a sophisticated electronically controlled, planetary-gear transmission system. With all-wheel-drive versions, the rear wheels were boosted by an additional motor system. 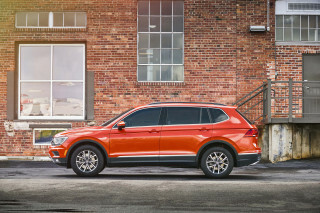 After its last series of improvements, the Tribute was quite competitive with other compact crossovers like the Honda CR-V and Subaru Forester, even though it had been many years since a full redesign or major exterior rethink. 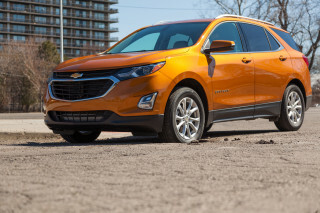 In recent years, we lauded the Tribute's optimized power and fuel economy, as well as its safety, but found that it lacked refinement next to some of those more modern designs. In more recent years up until the Tribute's discontinuation after the 2011 model year, the Tribute just didn't fit well into Mazda's lineup, either; with its the brand's 'zoom-zoom' image, and the crisp, aggressive styling cues, rakish rooflines, and punchy, athletic driving feel showcased in other Mazda models, it was either an outlier or a complete outsider in the brand's portfolio. You might find the Tribute relatively rare on the used-car market as well. Over the years, the Mazda Tribute was a particularly slow-selling model—especially compared to the Escape, which has been the best-selling compact SUV or one of the top-selling ones for many years. A good SUV and the perfect size for 2.